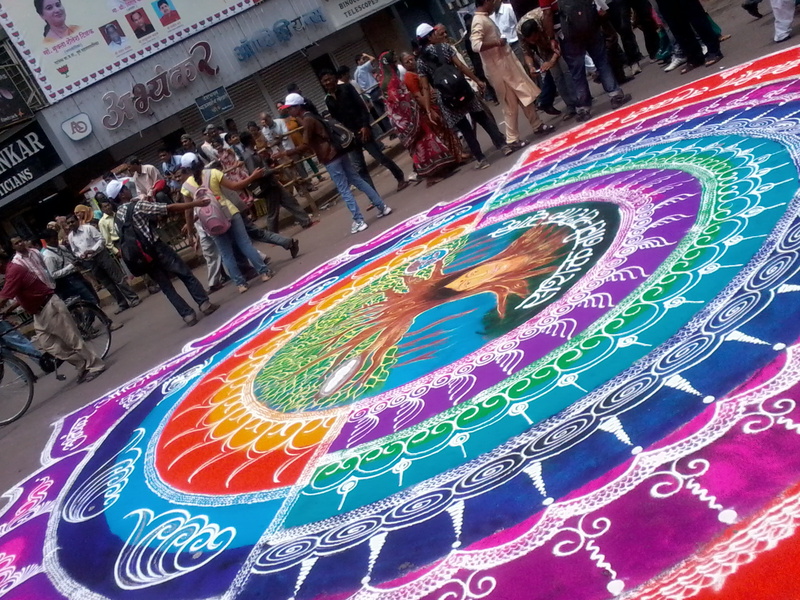 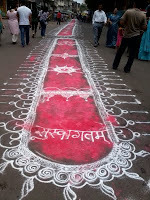 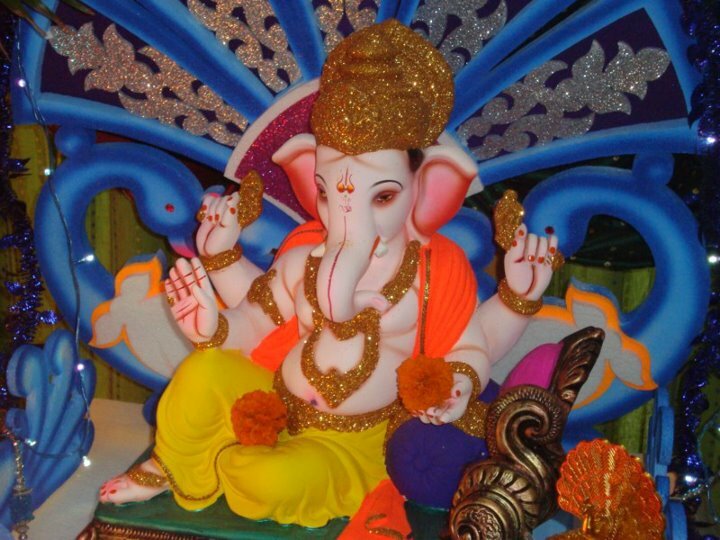 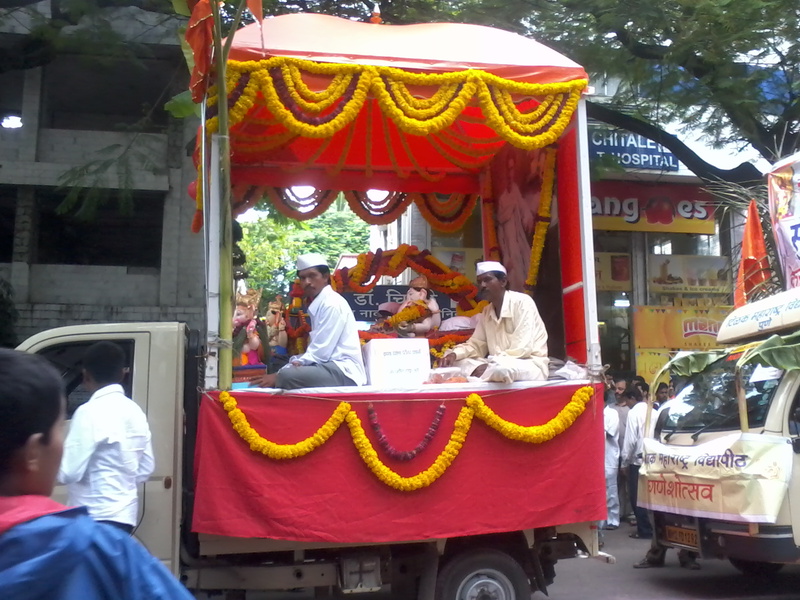 Yesterday was the last day of the 10-Day Ganesh Festival in Pune. 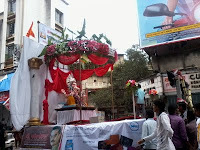 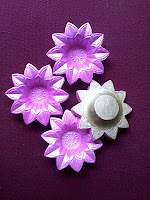 On this day, the Ganesh idols are immersed in water - symbolic to Lord Ganesha travelling back to his abode. 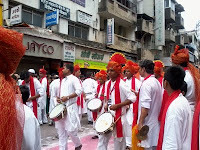 Pune being the cultural capital of Maharashtra, has certain mandals which are more than a 100 years old. 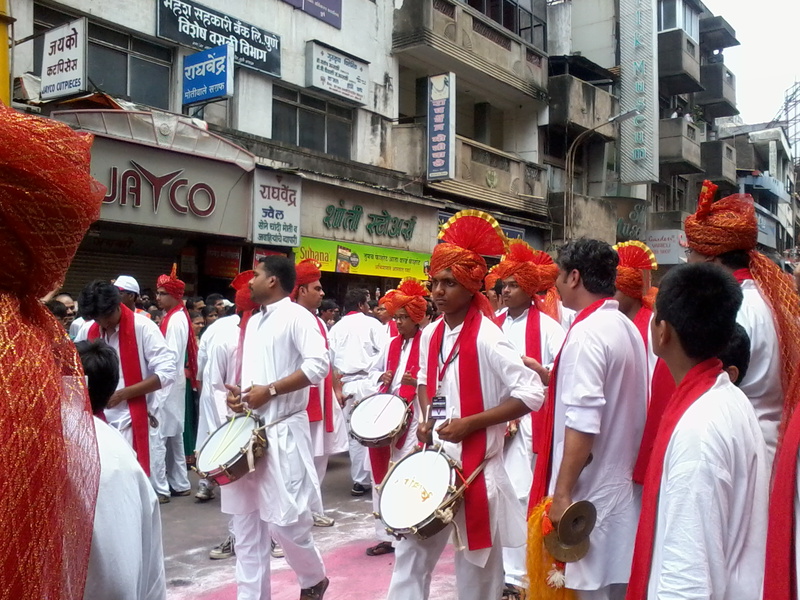 These mandals carry out the festivities as well as the last day procession in the same traditional ways even today. 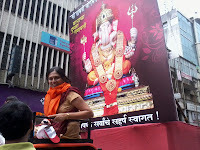 I was lucky enough to be able to catch the first 5 "Pahilya Manache" Ganesh in procession this year. Below are some snaps of the interesting traditional festivities carried on in the procession. 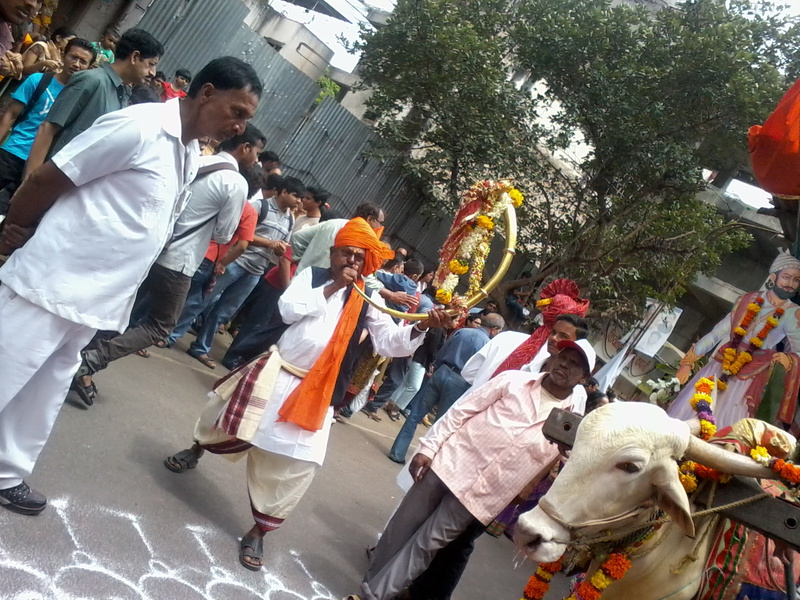 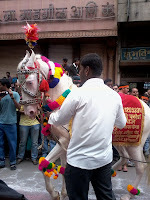 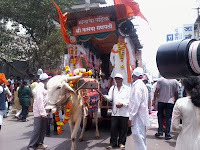 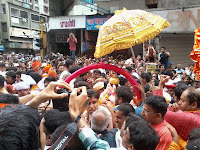 This is the actual Deity, which is taken out for this procession in a Palkhi. 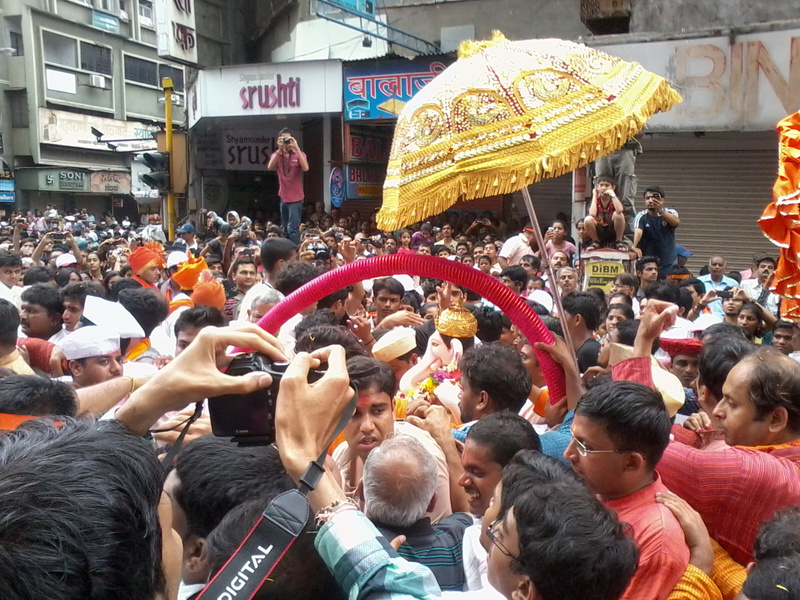 There is a huge crowd gathered for darshan .. 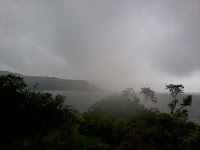 The air's full of "Ganapati Bappa Morya" and "Pudhachya varshi lavkar ya" shouts. 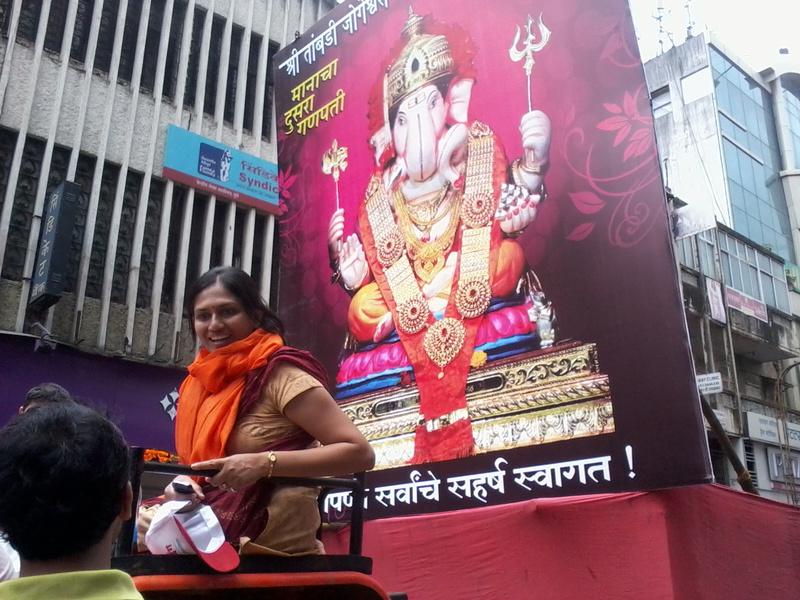 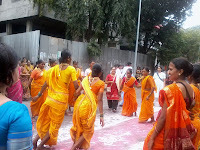 The second Ganesha, Tambadi Jogeshwari, is famous for its procession which has a majority of the ladies participating. They enact traditional ladies songs and dances in the procession. 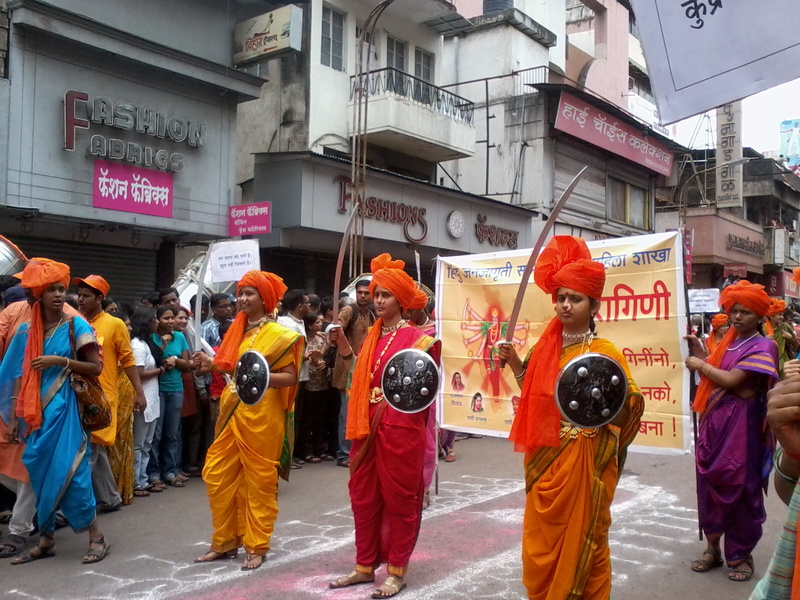 They also showcase the brave women warriors of Maharashtra. The 3 Ganesha - Guruji Talim and 4th Ganesha - Tulsi baugh mandal too put up a grand show with amazing dhol-tasha pathak. 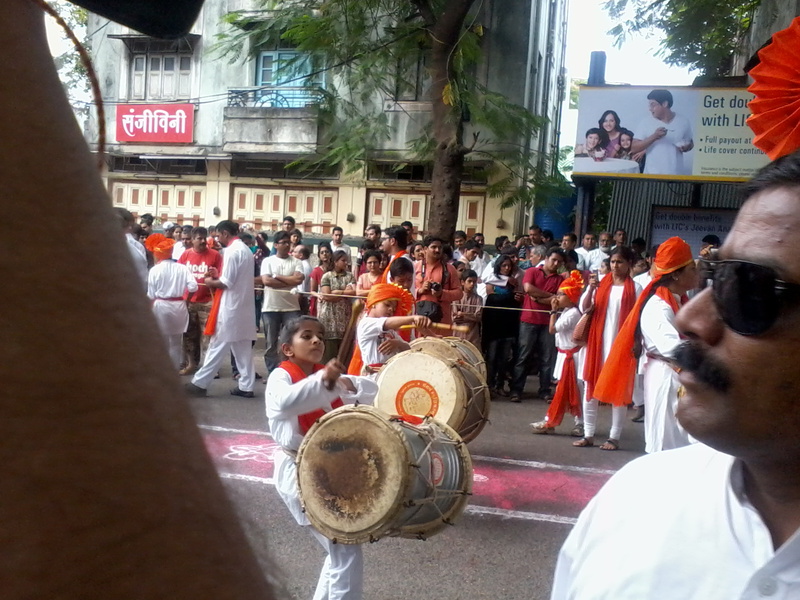 There were other interesting performances like dancing horse, kids dancing the flags, lezim performances etc. The 5th Ganesha - Kesariwada represents the Ganapati mandal from Lokmanya Tilak's residence in Pune - the kesariwada.They had a dhol-tasha pathak with major participation from girls and kids. 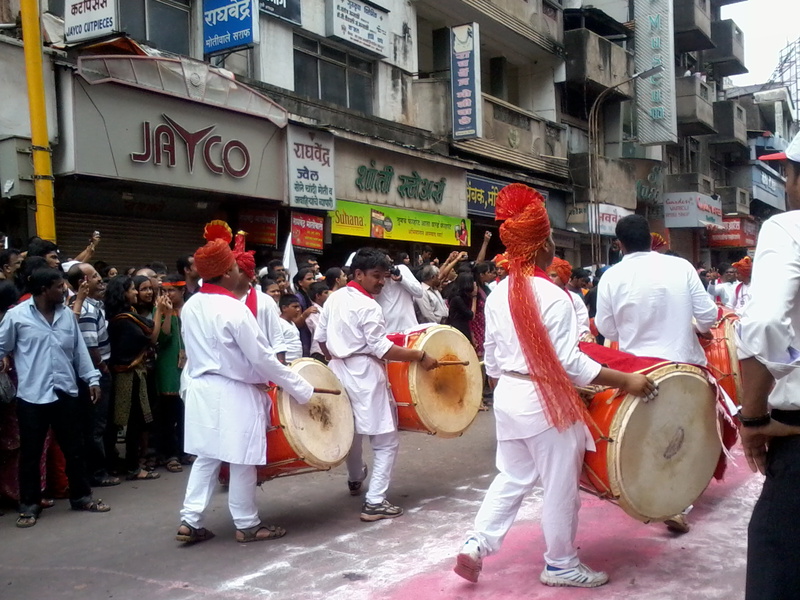 Their enthusiasm and energy was really contiguous. 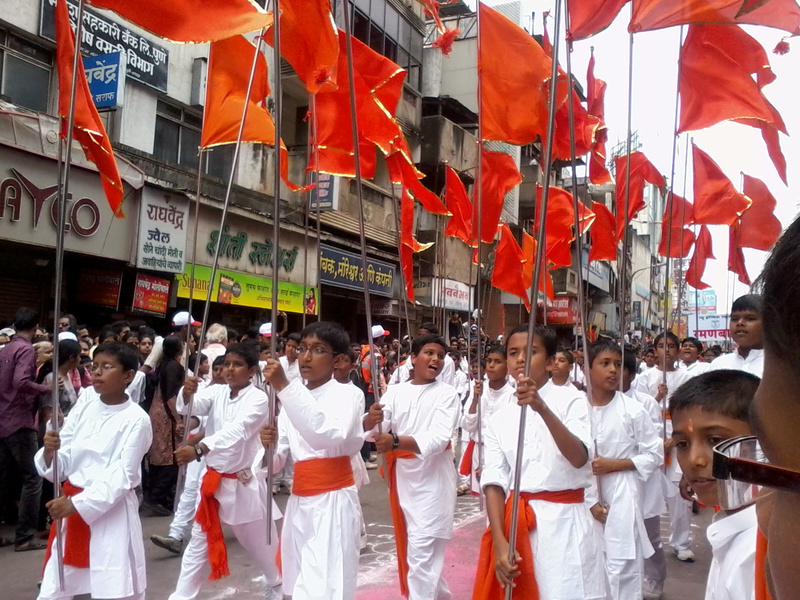 The whole procession runs for almost 2 days. 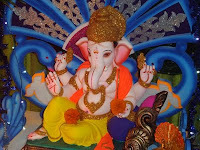 It starts with these first 5 "Pahilya Manache" Ganesh and ends with the famous Dagadushet Ganapati or known as "Shevatchya Manache" Ganesh.